With regular shipments from the USA, Jamaica, Japan, Brazil and Europe we reckon that on top of our constantly updated new releases you are now looking at the largest selection of Reggae, Dubstep, House, Disco, Funk and Soul, Brazilian, Latin, African and world beats in the UK. 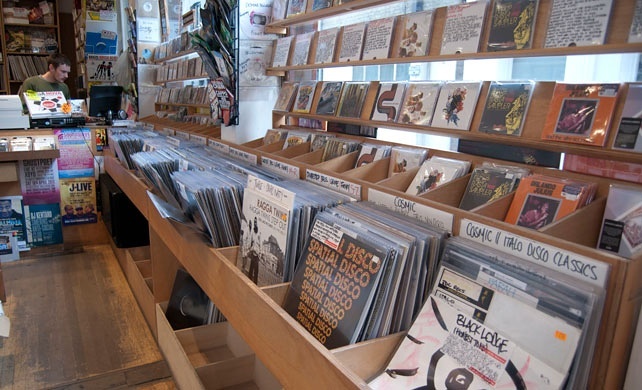 As well as new CDs and vinyl, many of these sections also have original vinyl – all of which are guaranteed. We also have a killer selection of books and DVDs. Sounds of the Universe is connected to the record label Soul Jazz Records. Just click and swap between the two sites by clicking between the logos at the top of the page. Soul Jazz Records’ releases can be bought on either this site. You can also jump between the two sites – there is only one shopping cart for both sites. If you live in the UK you get FREE Delivery if you spend over £50.